The Sherp got chatty with Salim-Sulaiman before their big live show at BACARDÍ NH7 Weekender. As we inch closer to another promising Pune edition of BACARDÍ NH7 Weekender, we thought it would be great to interview one of the biggest acts to take the stage. The Indian score composer duo consisting of siblings Salim and Sulaiman Merchant have charmed fans with their stellar soundtracks and even livelier stage performances. 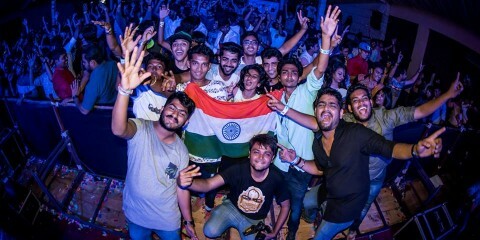 The Sherp: BACARDÍ NH7 Weekender has always brought the most diverse line-up to its fans. How does it feel to be performing amid such a diverse mix of music and moments? Salim-Sulaiman: It gives us immense happiness & joy to be part of THE BIGGEST FESTIVAL in India! Having played at so many festivals and venues all over the world , the joy of playing in our own country for our own people is priceless. The Sherp: From composing an anthem for the FIFA World Cup 2010 to working with Academy-award winning Jeffrey D. Brown, you have quite an international acclaim. Any international projects we can look forward to in the near future? Salim-Sulaiman: We are working on an American film that is untitled and also producing a film which is set up in Syria. We are also working on an international world music record with some of the finest folk and classical singers in India. The Sherp: With the ease of technology in today’s world, budding musicians are springing up around every corner. Any word of advice to them? Salim-Sulaiman: It’s a special time with so many gadgets and technology but I strongly feel that learning an instrument and learning it thoroughly with the complexities of changes and understanding of classical music is extremely important. Knowledge is very very important and so is listening to all types of music. I think music is 50 percent learning and 50 percent listening and one must drown (not just swim) in this ocean of music to really feel the power of this art form. 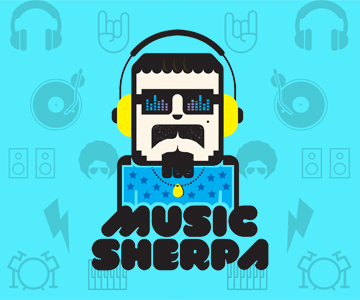 The Sherp: Festivals like BACARDÍ NH7 Weekender have really changed the way people experience music. Personally, how different an experience is it for the artist to perform live for such a big crowd along with a host of talented performers? Salim-Sulaiman: It’s unmatched! The love you get from the massive audience at NH7 is truly an experience that fills your heart and stays with you for the rest of your life. The Sherp: Tell us three things that help you before a big live performance. 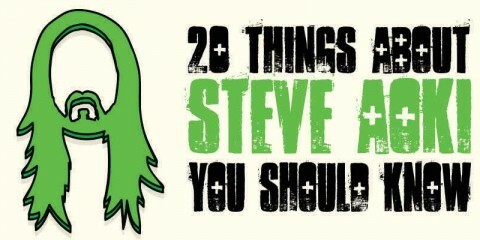 3) And an easy attitude!